Imo the fritzboxes are great, I would not be able to do half the stuff I do with it with most other devices. Your paying for quality with snaps modems, unlike many other providers who giveaway/sell cheap crappy devices. Snaps modem is also vdsl capable, and ready to use in a ufb installation. Also handles VoIP excellently. There is nothing else on the market that offers the same feature set as a Fritz!box 7390, particularly if you want some of the built in VoIP PBX features and media sharing and the ability to support a BRI line. There aren't a lot of options for dual band VDSL2 + Ethernet Gigabit capable routers on the market but you're looking at around the $300 price point for something with these capabilities, which lacks the VoIP and media sharing capabilities of the 7390. The Netcomm NF4V has media sharing (admittedly, I've not tried it out myself) and supports ADSL, VDSL2 and UFB. It's got 4 gigabit ethernet ports and 300-N. Also two analog ATA ports to use with SIP services. Not dual-band unfortunately. We are not seeing many issues with them so far and have quite a few deployed. Is no one else having issues with the FritzBox DHCP/DNS servers? I have a load of fixed IP address assignments which are routinely ignored by the DHCP server meaning all sorts of havoc on my network. Likewise DNS lookups freeze occasionally rending my network blind to the outside world. I am in the process of trying to find an alternative to the Fritz because of this. But I do enjoy the VOIP features, in particular the ability to detect incoming calls which I pipe to my home automation software, and the built in DECT base station. 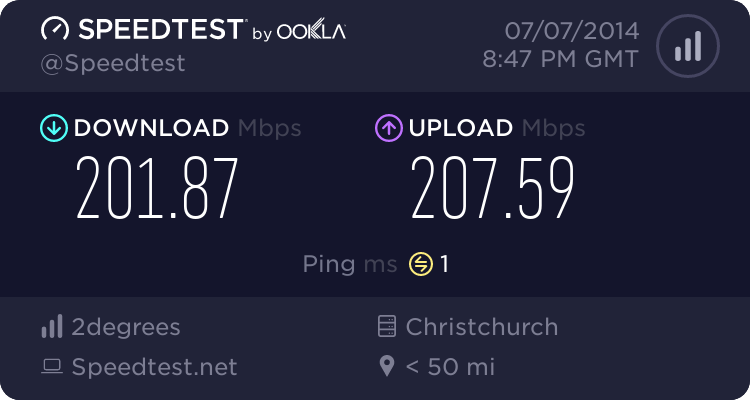 Sounds like there is not much else out there which can offer the same features (minus the VDSL modem which I am happy to handle with a Vigor 130). Pretty sure your issue is firmware related, as pointed out in another thread. Never had any of the issues you mentioned, across both fritzs I have had. Nor is digging up the issues in this thread going to fix it. It may well be firmware related but these issues have been reported by quite a few other users, so just because you are lucky enough not to be affected doesn't mean others aren't. I am not looking to 'fix it' anymore - I have pretty much given up - I am trying to find alternatives and am hoping others on here might be able to offer some suggestions. The security norms indicate, you should keep your firmware up to date. Most fritzs autodate. Avm have put their recent firmware through the toilet and them some, so I'm not surprised at common issues. Anyway, arguing over this is gonna get nowhere. I'm yet to physically look.at a fritz that can't be slapped into shape :). Agreed - I am just frustrated at spending all this money (well not that much, but having to sign up for 2yrs!) and getting something that is a step back in what I had previously. Would love for you to have a look at my config and 'slap it into shape'! I do appreciate your advice and help on here - just wish I was as fortunate as you to have a stable device! Just as a matter of interest hio77, what model Fritz!Box do you have? Do you have other Fritz models to compare it against and what network are you connected to ADSL, VDSL or Fibre? cjmchch: Just as a matter of interest hio77, what model Fritz!Box do you have? Do you have other Fritz models to compare it against and what network are you connected to ADSL, VDSL or Fibre? 7390, my second 7390 the first suffered some sort of issue with errors reporting incorrectly (causing the dsl connection to disconnect instantly.) when i moved houses, so i replaced it with another one. Can be used with both DSL and UFB. DSL modem is capable of both ADSL2+ and VDSL2. Simultaneous dual-band WiFi. Many routers are 2.4GHz only, and some will only do only 2.4GHz or 5GHz, not both at the same time. 2x USB ports for connecting hard drives, printers or 3G modem. VOIP gateway with port(s) for connecting a standard phone. PBX functionality with extensions and incoming call routing. Can use wired phones, DECT handsets, SIP phones and smartphones as extensions. Fax and voicemail server built into the router. IPSEC VPN server built into the router. And these aren't just things that are thrown in half-heartedly in an attempt to tick a marketing checkbox. The Fritz actually does a pretty good job of all these things, and they're all things that are actually useful. When you look at all of this, the $350 or $400 you pay is actually quite reasonable. Yep - I agree it is a very feature rich device, but (in my albeit limited experience) it falls very short of doing the basics - i.e. DHCP/DNS - that any old $100 router handles with no issues. I have just disabled the DHCP server on my Fritz and installed dnsmasq on my Ubuntu home server. This also handles all DNS requests so the Fritz is now out of the loop, and already things look a lot more robust. Slightly off topic - but how do you use a smartphone as an extension? I tried the FritzFon app but that only allowed me to dial out, I would ideally like my mobile to ring when the home line is called and I am home. Is this possible? SumnerBoy: Yep - I agree it is a very feature rich device, but (in my albeit limited experience) it falls very short of doing the basics - i.e. DHCP/DNS - that any old $100 router handles with no issues. ever actually tinkered with the advance features of the fritz, i make extensive use of the fritzFon app though. my phone being a cheap android since my old phone decided to take a crap, cant keep up with skype (inconsistently working and not working due to its speed) but the fritz app, soon as i drive into the driveway, instantly is logged in, and can pickup landline calls. So you can answer calls to your home number on your mobile using the FritzFon app? SumnerBoy: So you can answer calls to your home number on your mobile using the FritzFon app? yes, it creates a SIP call between your fritz and your phone judging by the emails it sends through. Internal events only pop up for calls between the App and the Fritz.